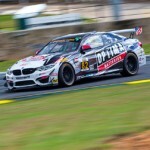 The BimmerWorld Racing crew feels it needs to be ready for anything when it arrives at the Circuit of The Americas (COTA) this week, as the state-of-the-art road course in Austin, Texas has dished up both high temperatures and strong rain during past visits by the IMSA Continental Tire SportsCar Challenge (ICTSC) series. The Dublin, Va.-based team will try to adapt to whatever comes its way during the series’ penultimate race of the 2016 season on Friday beginning at 1:40 p.m. Eastern time. Team owner James Clay of Blacksburg, Va., and Tyler Cooke of Mathews, N.C. will share the team’s No. 84 OPTIMA Batteries BMW 328i, while its No. 81 BimmerWorld BMW 328i will be driven by Jerry Kaufman of Mooresville, N.C. and Kyle Tilley of Bath, England. They all compete in the most popular class, Street Tuner (ST). 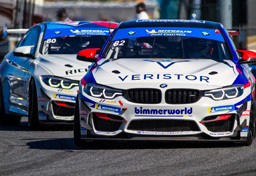 The four drivers of the team’s pair of turbocharged BMWs (F30 chassis) readily admit that the 3.4-mile track’s tight corners will challenge their heavy cars, but they hope to excel with fuel strategy and tire management to get to the front. The Texas heat will likely complicate the challenge for all the teams, as the track grip will be constantly changing. Managing the temperatures of both the engines and the drivers inside the cockpits will likely be crucial. Every point is important at the series’ last two races of the year, which will both occur on Fridays. The season finale at Road Atlanta in Braselton, Ga., is slated for Friday, Sept. 30. This week’s action at COTA starts with a practice session at 2:25 PM Wednesday. A similar practice session is slated for 10:20 AM Thursday prior to ST qualifying at 2:35 PM and ending with Friday afternoon’s 2.5-hour race. A total of 25 ST cars and nine Grand Sport cars are entered. The television broadcast will be on FOX Sports 1 on a tape-delayed basis on Sunday, Sept. 25 at 5 PM. 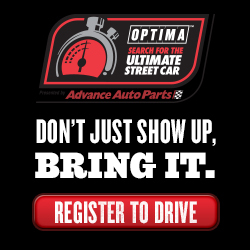 Live video streaming and live timing and scoring will be available on imsa.com and imsa.tv. All times are EDT. What do you think of COTA? Where does it rank among your favorite tracks, and why? One of the nice things about COTA is that it has big turns, making for the possibilities of various lines. Do you have one particular turn that you’ll want to work on in practice, and if so, which one and why? What do you think will be the keys to the race? Last year’s race at COTA was extremely hot. How do you prepare for the heat, and what will you have in the car to try to stay cool? Heavier cars usually have markedly more tire wear at COTA than lighter cars. How does the BMW stack up, and in general, what can you do to save your tires? Do you have any ties to the FIA WEC? Are you looking forward to seeing that series in action, and if so, why? You mentioned that you love Mexican food. Do you have any recommendations for Mexican restaurants in the Austin area? 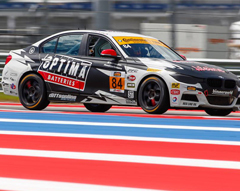 How well do you think the BMWs are suited for COTA? Last year’s race at COTA was extremely hot. How do you prepare for the heat, how do you train for it? Do you ever get goosebumps or get really excited driving on an F1 course? Last year’s race at COTA was extremely hot. How do you prepare for the heat, how do you train for it, and what will you have in the car to try to stay cool? Do you ever get goosebumps or get really excited driving on an F1 course? If so, when?